Autumn and cooler weather are right around the corner, so it’s no coincidence our September Skater of the Month, Animal, is so very chill. 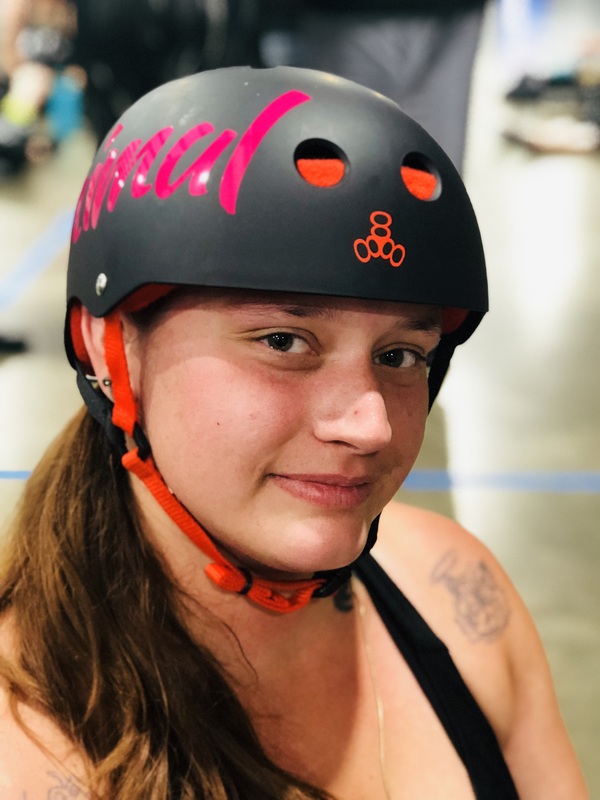 Despite having trepidation about derby because she hadn’t skated since middle school, Animal became an RMRG member after passing tryouts in August of 2017, joining a summer Freshmeat class. Animal is an easy figure to spot during the first hour reserved for the newer skaters, her solid figure usually clad in a burgundy tank top, working through the pack. Her laid back demeanor is a hallmark on the bench, track, or in her committees of HR and Event Planning. Animal was an important part of coordinating Rocky’s 2018 bout at Denver County Fair (one of our favorite but forever uniquely odd venues, that always presents its own set of idiosyncratic challenges). We thank Animal for her story. Such narratives are not always easy things for people to share, and stories like Animal’s are vital to normalizing and bringing to light an issue that affects more than 29.5 million people worldwide. 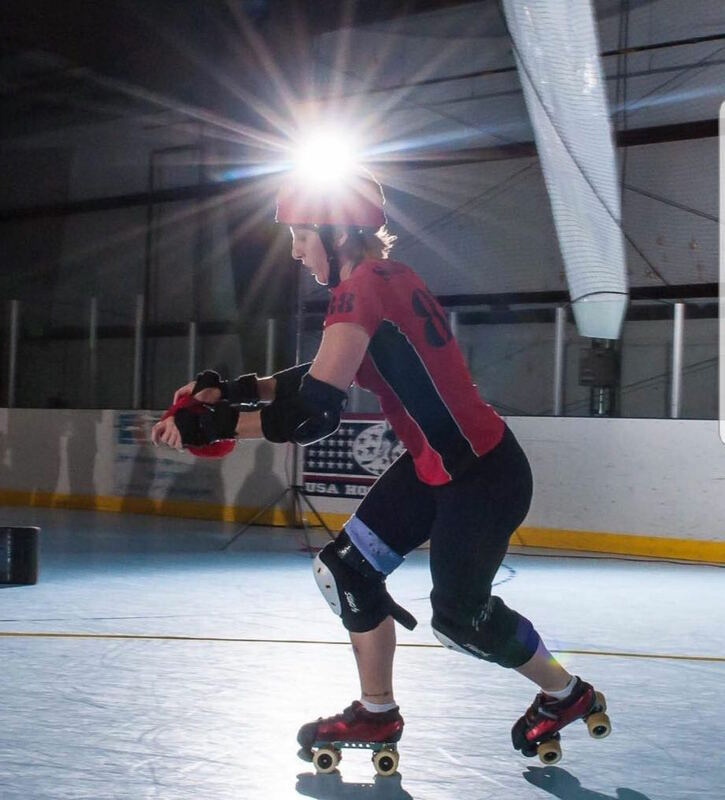 Please read Experience, Strength and Roller Skates: Sobriety in Roller Derby and visit the Substance Abuse and Mental Health Services Administration Website.